Fiery 'volcanic' structures, an underfloor 'Jurassic Sea' and replica forests provide the first level of interpretation at this popular local museum. Hidden elements requiring keen detective work and lo-tech and hi-tech interactives vary the pace further, captivating and engaging the visitor. 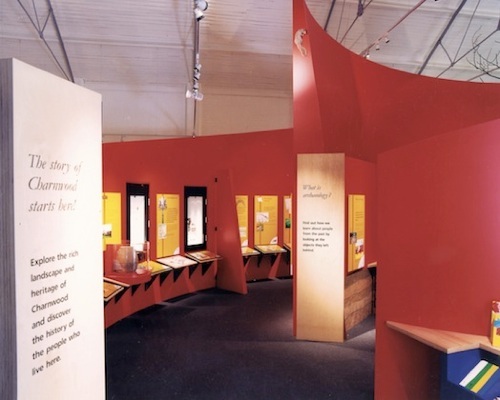 Visitors to the museum café were kept engaged by the insertion of a large plate glass divide that gave a view onto the display area and by an extension of the case structure of the exhibition into the seating area. The café itself was designed by others.